Rosewood oil comes from the bark of an evergreen tree with yellow flowers that is native to Peru and Brazil. This oil has a light, flowery scent with woody undertones. Rosewood oil is used in the practice of aromatherapy and is believed by some holistic and natural health practitioners to have an array of medicinal and topical benefits. Always consult with a physician or health care provider before ingesting essential oils. Rosewood oil is often used in aromatherapy and is believed to have many emotional benefits. According to “The Aromatherapy Bible,” by Gill Farrer-Halls, rosewood oil is one of the best essential oils for spiritual and meditative uses. It is also believed to be a very uplifting oil and is sometimes used to relieve the fatigued and lethargic feelings experienced by many who suffer from depression. Rosewood oil is also believed to be useful in relieving stress, anxiety and nervousness and is sometimes used as a mild aphrodisiac. Many skin and beauty benefits have been observed from the use of rosewood oil. 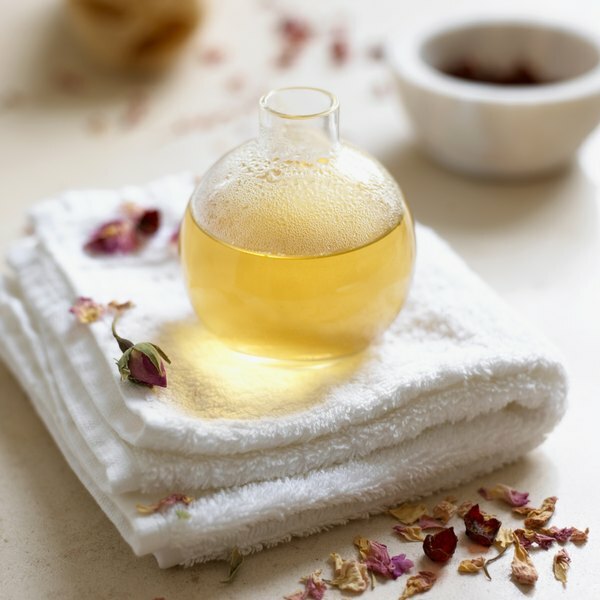 According to “A Complete Guide to Understanding and Using Aromatherapy for Vibrant Health and Beauty,” by Roberta Wilson, rosewood oil can be used to reduce the appearance of acne. It is also believed to be an excellent choice for use in soothing irritated and sensitive skin and is appropriate for individuals with oily skin as well as those with dry skin. For those who are looking for an essential oil to reduce the signs of aging, rosewood oil may be an excellent choice for reducing fine lines and wrinkles as well as promoting the growth of new skin cells. Rosewood oil may also be used to fade scars. Rosewood oil is used in skin products such as creams, soaps, cosmetics, massage oils and perfumes. Rosewood oil is also believed to have many medicinal benefits. According to The Illustrated Encyclopedia of Essential Oils, by Julia Lawless, rosewood oil can be used to boost the immune system to prevent and treat infections, colds, coughs and fever. It is also believed to be beneficial in treating nausea and headaches and relieve discomfort caused by stress and nervousness. Rosewood oil is believed to work as a mild stimulant that is effective in clearing the head and reducing the symptoms that occur from jet lag.